Q: What is the biggest challenge facing Las Vegas in the next five years? A: Thousands of young people are preparing to enter the workforce or seek higher education in the next five years. Are we really doing enough to prepare them for that? We would do well to consider the consequences of their lack of preparation. A: I’m always reading stories to Leo on our daily commute and on our frequent car trips, usually youth novels or self-improvement books. Right now, it’s “The Ersatz Elevator” from Lemony Snicket’s Series of “Unfortunate Events.” We hope to get through the whole series by next year. We enjoy them even though they’re somewhat fantastical because they remind us to look at the world through the eyes of a child, seeing the possibilities and questioning the status quo. I’m just finishing Jewel’s “Never Broken,” and cannot recommend it enough. I love her honesty, her tenacious and heartbreaking journey in search of happiness and success. Her reflections on what has worked and what hasn’t worked for her as she’s tried to become the person she wanted to be, are so helpful and interesting to me as I try to keep balance and peace in my own life. I think it’s rare to see someone who’s so famous and successful share the unflattering elements of their lives just in case it helps someone else who can relate. It’s really beautiful. A: We each have our tastes, and we love trying new restaurants. But one we can always agree on for any occasion is Ohjah Japanese Steakhouse. I love the sushi rolls and the yakisoba has that nostalgic quality for Leo that reminds him of the kind he would have back home in Brazil. We theorize that they use real magic in the sauce. When we are going to splurge, though, for a really special occasion, we go to Fogo de Chao or Texas de Brazil. The experience at these Brazilian steakhouses is unbeatable. They have a great buffet of sides, as tasty as homemade. Each cut of barbecue is really impressive and flavorful. A: We’re big fans of the sand volleyball courts at Sunset Park. Leo and his sisters always put together a team for the Friday night league games, and we have a great time! Sometimes, we bring a blanket and picnic dinner to enjoy as we pass the ball around to warm up. Even in summer, the games are late enough, and the sand is cool enough that the heat is bearable. A: To unwind and reset for a new week, we spend time on what matters most to us, our relationships with family and with God. We refocus on our personal improvement and long-term perspectives at church and in our own studies, and we spend a lot of time at family events with those here in town. Any spare moment is filled with video chatting or playing Psych! on our phones with family in California, Hawaii and Utah. 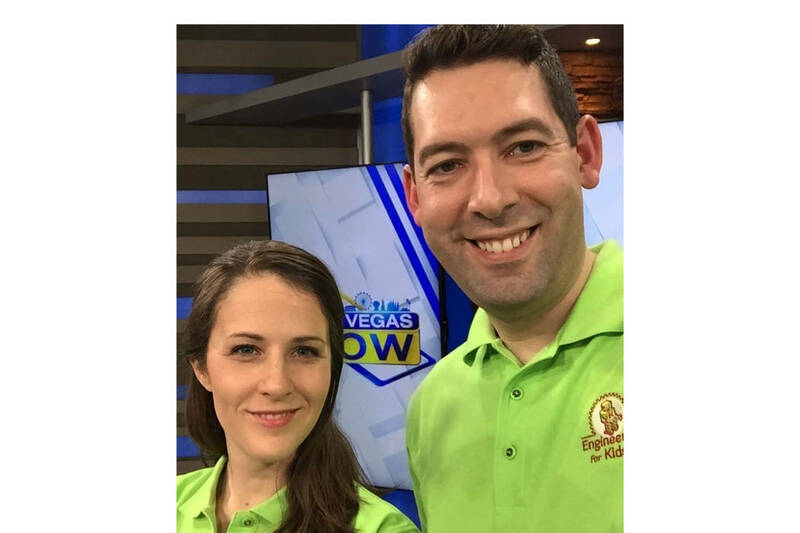 A: Las Vegas probably has a lot of challenges coming its way, but the most impactful one, in my opinion, affects our most fragile human capital. The leaders of tomorrow are in school today, and they are learning much more than just curriculum. As a society, we need to look very seriously at the messages we are sending our children. When they’re meeting in a classroom that has no air conditioning, or when their class size has now doubled because their school can’t afford one more teacher, they may or may not be successful at learning their objectives, but they will, unfortunately, learn this lesson: They will learn where they rank in the priorities of policymakers, and even society in general. The state of education is spiraling swiftly downward, despite educators’ best efforts, and if this trend is not corrected quickly, a whole generation of students will suffer. Thousands of young people are preparing to enter the workforce or seek higher education in the next five years. Are we really doing enough to prepare them for that? We would do well to consider the consequences of their lack of preparation. 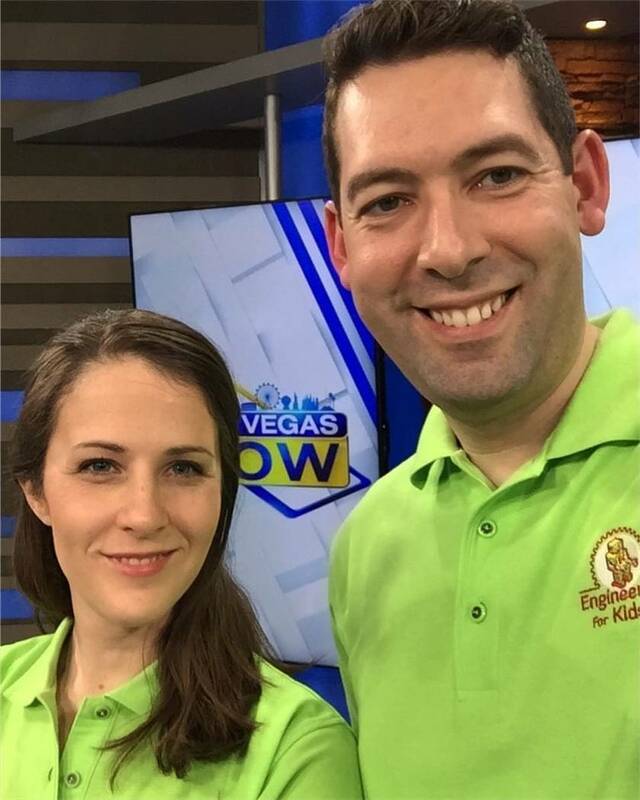 Husband and wife team, Elise and Leo Silva, are owners of Engineering For Kids, a learning center for kids and young adults that teaches the importance of S.T.E.M. (science, technology, engineering and mathematics) education through interactive and engaging projects.